I love spending time with flowers. Flowers are the pets of the plant world. Like pets, they help reduce stress and make me feel good. Imagine how pleased I was to receive this stunning Spring bouquet. 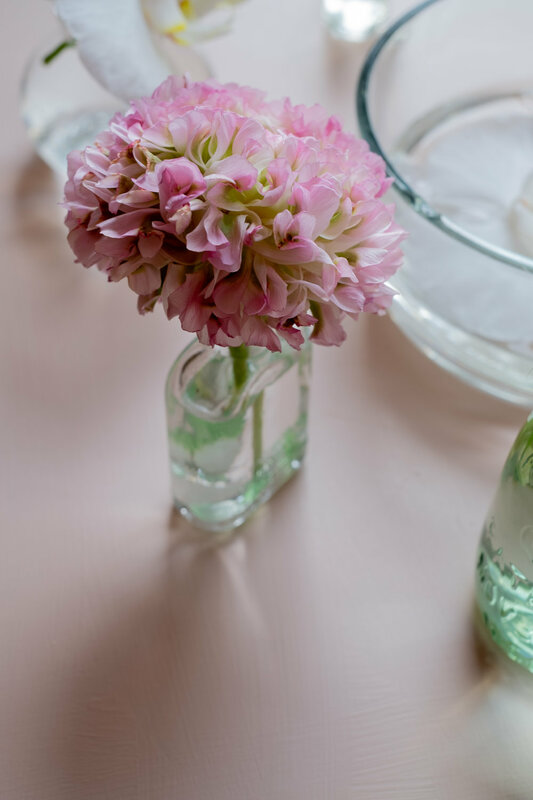 It’s hard to allow a beautiful bouquet to sit alone in a room, unappreciated, so I often move it to whatever room I'm spending time in; from the dining table to the computer table, to the kitchen counter while I prepare dinner and then back to the table while we eat. I might even bring it to the bedroom and place it on a bedside table to see first thing in the morning. 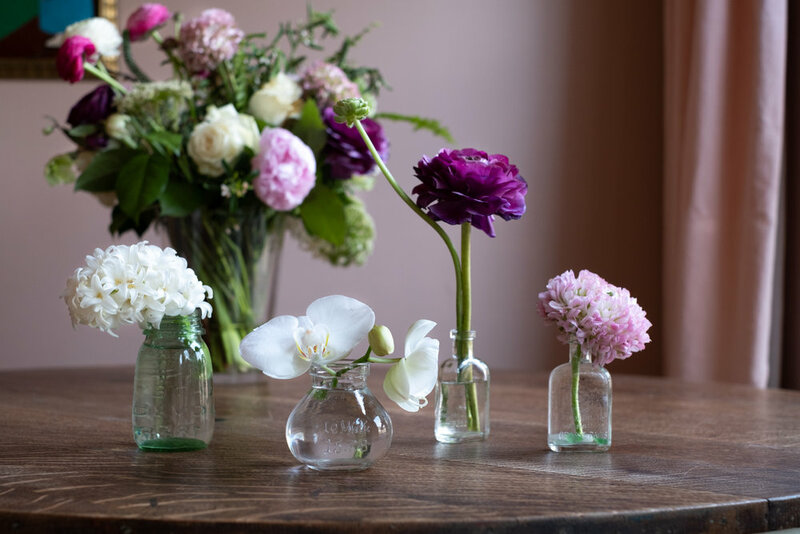 If it's a big bouquet with blooms galore, I snag a few individual stems from the bunch and place each in a vase of its own and then scatter these wee arrangements about our home to greet me, no matter where I turn. If a bloom gets accidentally knocked off, don't despair. Let it live out its final days floating in a bowl of water on your coffee table. *Flowers by Bloomfields Flowers, my favourite flower shop in Ottawa.